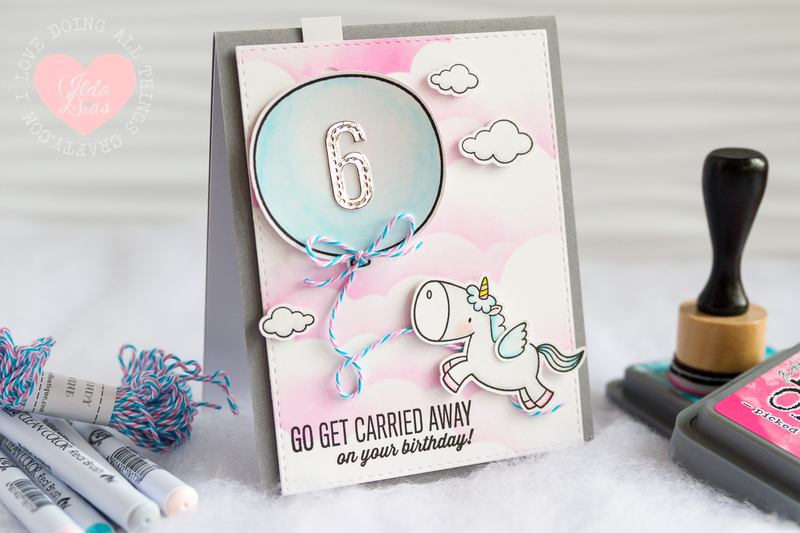 I am in love with this little card I made for my Niece Olivia's Unicorn Themed Birthday party this past weekend. It is SO adorable! This Unicorn Birthday Wishes - Balloon Slider/Pull Card features a few stamps sets, MFT's Magical Unicorns and ME Carried Away. 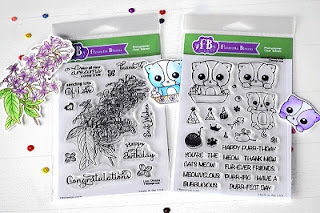 I love mixing my stamps sets to come up with something new, plus I find I get more use out of them! As you can see I attached the Balloon to a Pull tab to give the illusion of the balloon rising. I wasn't quite sure how to create a DIY pull tab but I eventually figured it out and will now know for the next time. You can watch my mistake and how I fixed it in my process video linked below. Here is how I finished off the inside. 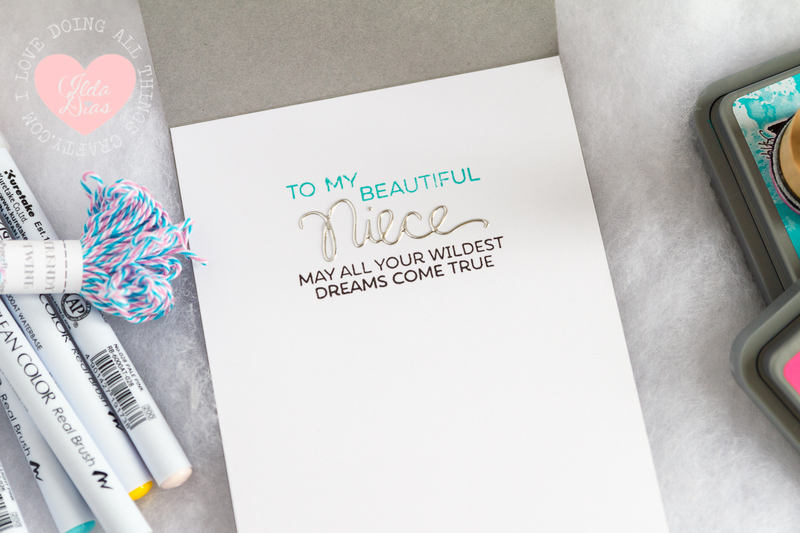 With some creative stamp masking I was able to create "to my beautiful" sentiment using MFT's Essential Sentiments Stamp set. The beautiful Niece Die comes from SSS. 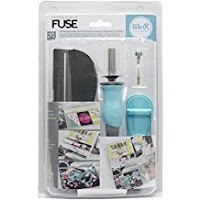 For a list to all the supplies I used, check out the links below this post. Here is another process video to see how this CUTEY came together. Hope this Unicorn Birthday Wishes - Balloon Slider/Pull Card has inspired you today! I'm back today with some more inspiration for Fleurette Blooms latest release. This stamp set is gorgeous! So elegant and perfect for so many different occasions. I decided I wanted to create something unique with this Lilac set. 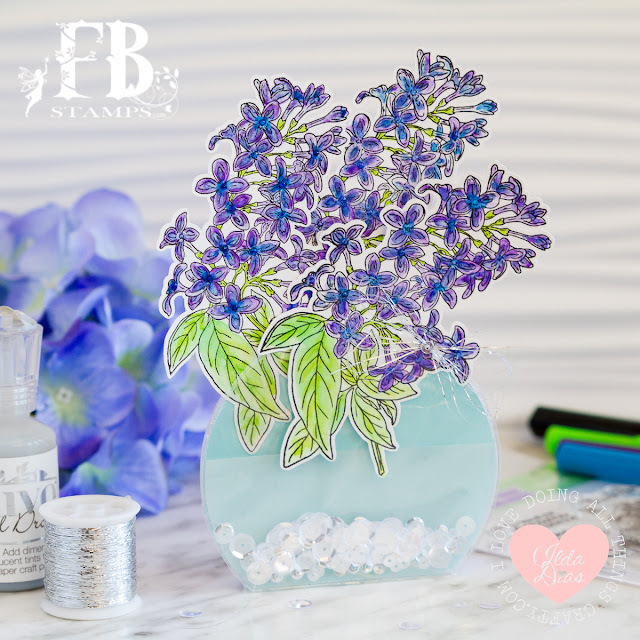 I wanted my card to look like an actual vase filled with Lilacs would. I colored my images in using my Tombow Dual Brush Markers and then cut them out with my SnC2. 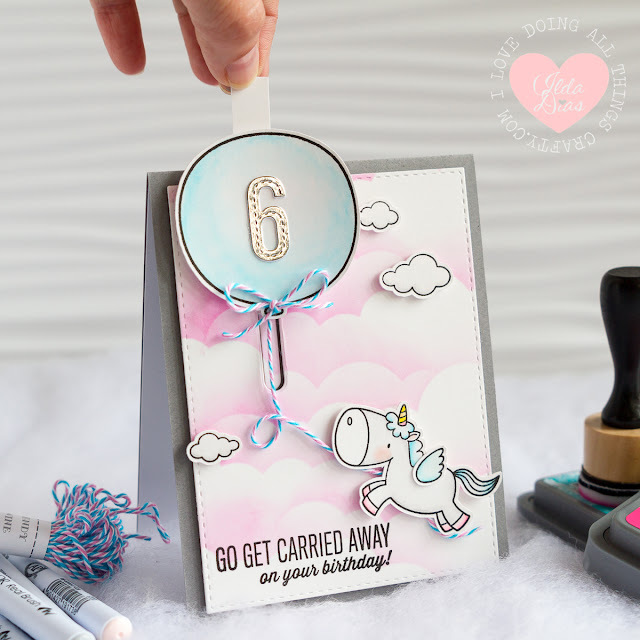 Don't worry you don't need a SnC machine, Fleurette always has FREE Coordinating Digital Dies available for download with your stamp purchase. Here is what the back of my card looks like. I have included some pictures below to help you visualize my steps. Check out my links after this post for all the supplies I used. To begin I cut out 2, 2 3/4 inch circles using a Circle Die. I then sliced 1/2 inch of the bottom. Next, I cut out the box portion of the card to measure 5 1/2 x 2 3/4 inches. Then I scored the paper at the 1/2 inch or 2 inch mark (see image). I then assembled the box by gluing the side tab down. Once it was dry I then glued it to one of the cut circles (make sure you line up the bottom and center it on the panel). To create the faux water look. I cut out another circle in pale blue card stock and trimmed it like the previous ones. I then fused a plastic sleeve together in the shape of the vase to create a pocket. Next I filled up the pocket with a few sequins for some shine and slipped the lilacs in the top opening of the pocket and glued it in place (I only glued the back of the lilacs as I didn't want any glue to show in the front. Because the paper is blocking the sequins from coming up the pocket they didn't spill out). 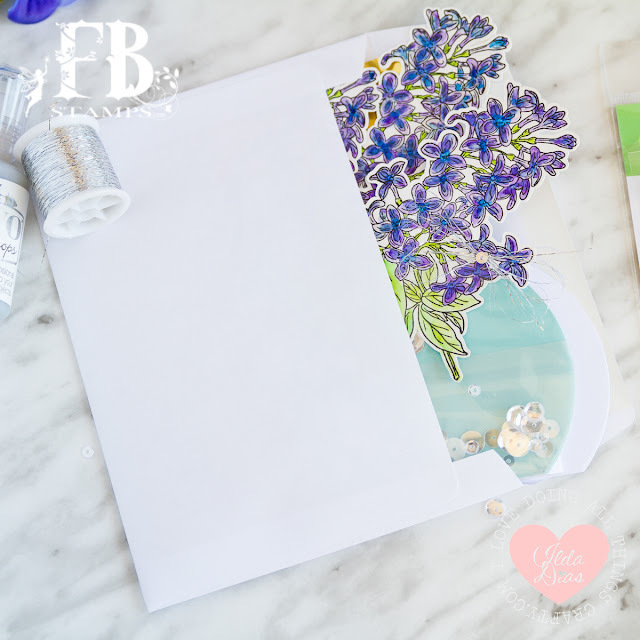 Next I glued the other lilac bunches to the back of the blue card stock. I then added the pocket layer to the top of my blue layer, but only gluing down the areas where the bottom of my bunch was, as I didn't want any adhesive to show. (Not shown here, but I also added a piece of vellum to the bottom half of the vase. Then I added glue only in the center where it will be hidden by the sequins). Here is what it looks like from the back all glued together. Next I stamped my sentiment on the back panel and glued it the front panel (make sure you line up the bottom and the sides of the box when gluing it together). Here is the finished card folded flat, which fit perfectly in a 5x7 envelope. when you purchase the Lilacs & Kitties Bundle Pack! 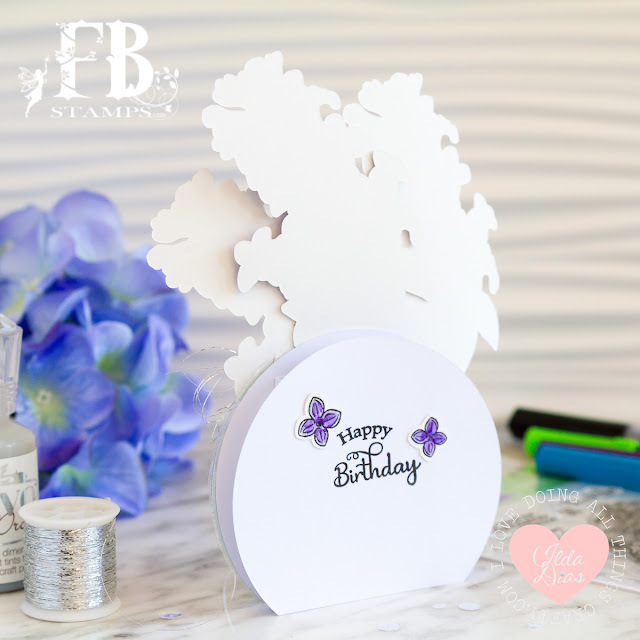 Hope you were inspired by my Lilac Birthday Wishes - Fold Flat Vase DIY Card. I love when you can use the supplies you have to create something totally unique! Make sure you check out Fleurette Blooms Blog for more DT inspiration!